Enchanted Excurse: Are You Coloring? Mawnin' Loverlies! 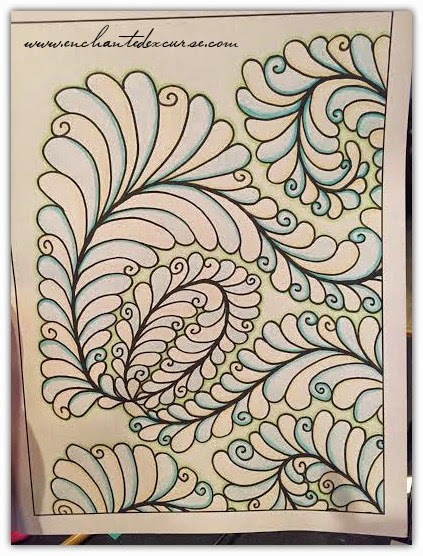 Today is just a quick little post of a Doodle coloring book I purchased a month ago and have finally started using. I don't know if y'all been seeing the articles on coloring not just being for kids anymore, but I agree with them. 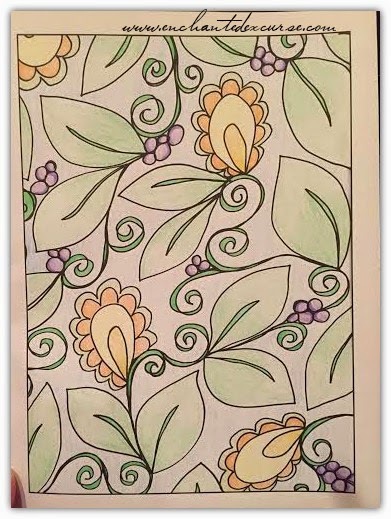 Coloring is just as much for adults, it helps you de-stress and stimulates your brain. I like how the Huffington Posts' article explains a bit more on why and how this helps de-stress adults. 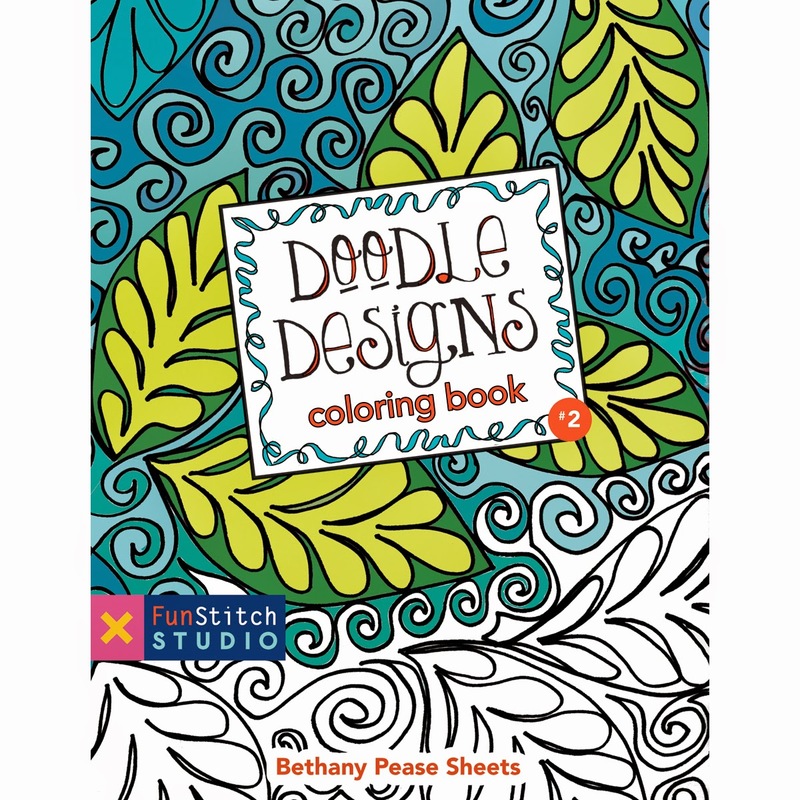 The coloring book I purchased is called Doodle Designs Coloring Book #2 by Bethany Pease Sheets. 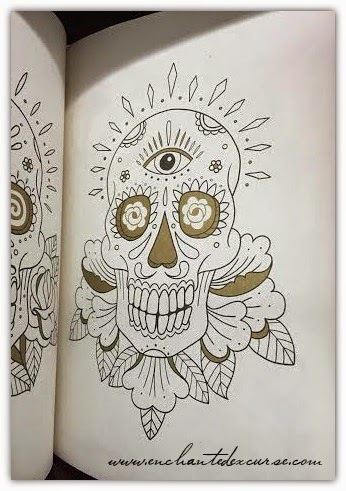 I will post a few pages I have colored so y'all can get an idea what this coloring book gives you. 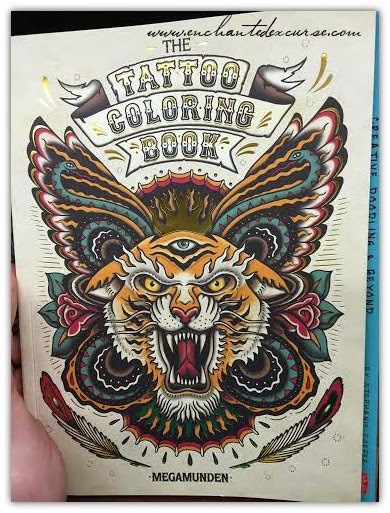 You can search on Amazon for different kinds of coloring books for adults. 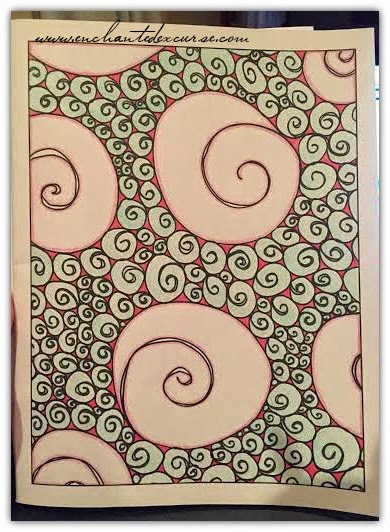 I love the zentangle or zendoodle ones, they have a lot to color in normally. 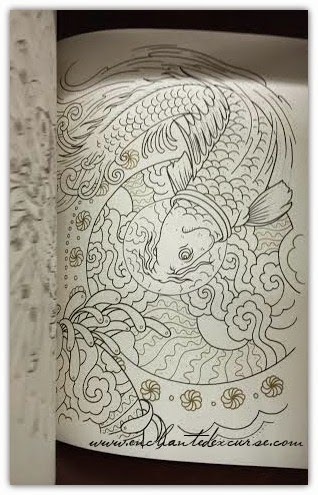 When I was at Hastings the other day there was a tattoo coloring book I thought was quite neat! If I knew how to get myself in this coloring book business, I would enjoy making coloring books to sell. It looks like a lot of fun! Enough of my rambling about these books and on to the pictures! Have a Blessed Day! I didn't purchase this one, but I thought it was too neat not to show! I must find me one of those. I love coloring.